Third time this week I have read a post about someone who has benefited from working out. I think I'm being told something! Good post. I've done T25 and need to get back at it. This is great advice and really fantastic info! Thanks! Very true. I have been slowly trying to get something done in a day. Sometimes I get it and others I don't. I will get the hang of it soon…I hope. I don't go to the gym either…I prefer working out in the comfort of my own home. I only have a treadmill and some weights and I got that roller for the abs (goes to show how much I know 😉 ). I hitting my target areas and as long as I'm seeing the results…I'm good :). Also want to get my arms toned for a Christmas gift to myself :). I tried the Fast Metabolism diet earlier this year for 8 weeks and lost 10 pounds. It totally works! But since then i've fallen off the good eating band wagon and pout 5 back on. 😦 Need to start over! Yaaasss! I'm so happy we found each other. I really couldn't imagine going through this with someone else. You're my fitness lobster! Thank you! When that happens, it's like “I hear you universe.” I love it when things speak to us. Mamas need time to de-stress and work on themselves! You need energy to keep up with kiddos. Lots of energy! I watched Mike do T25 and that made MY muscles sore. Haha! I bet you had fun at the dance studio! You will! Little by little. Even with programs like Live Fit, you rarely start off exercising 6 days a week! You got this! That is a great point! The classes can be very pricey. Sometimes, I'm lucky enough to learn of a free class. That's all you really need for a home gym! All of the other stuff is just icing on the cake. I think that a lot of us get overwhelmed and think we have to have some state of the art facility. I'm glad to hear it wasn't preachy! Wow! 10 pounds in 8 weeks is awesome! Pajama workouts are the best! I think the old saying “Where there's a will there's a way” applies here. 🙂 Great post! My dog and I have started the C25K together – we are a pretty funny sight I am sure. I've had a few friends do Jamie Eason's Live Fit Trainer, but they all went to the gym. I never tried it because I thought that you HAD to go to the gym. Totally starting it tomorrow now! I'm sure your doggy loves that! Her voice is phenomenal! She makes me forget that I wasn't blessed with a voice like hers because I have to sing along. Ha! Yes, motivation is KEY. Nope. It's definitely easier at the gym because you don't have to think about any possible modifications but you can totally do it from home! I am trying to find my fit! 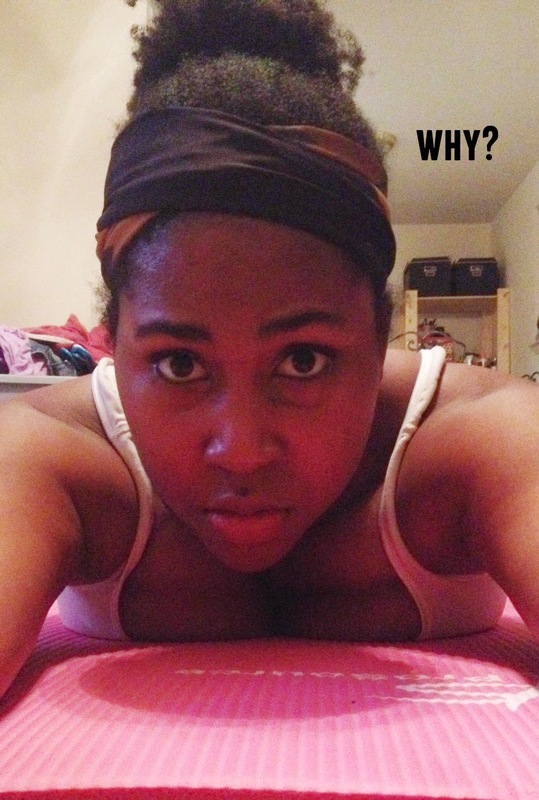 I love pilates but I tend to be-friend my trainers so we talk 1/2 of the time… Ugh! That being said, come 2015 I am stepping it up a NOTCH and hiring a personal trainer, it's timee! I work out every day a TONE but I need to get more toned. I am starting to feel a little SOFT and I remember when I was far more CUT! LETS DO IT 2015! There's so many free resources out there…no excuse to not do something! 2015 isn't ready for you, Gigi! Ha! Get it girl. Yes! Even if you just start out by walking.